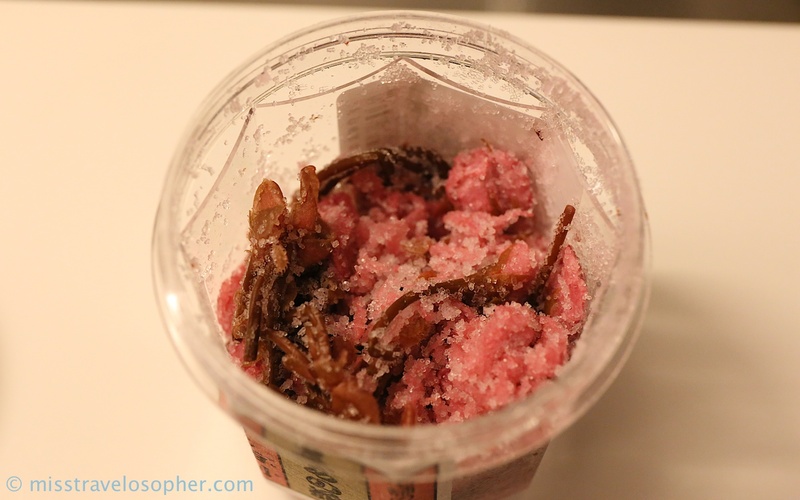 I’ve been trying to find pickled sakura flowers in my country to no avail and in my recent cherry blossom viewing trip to Japan, I managed to buy some back! 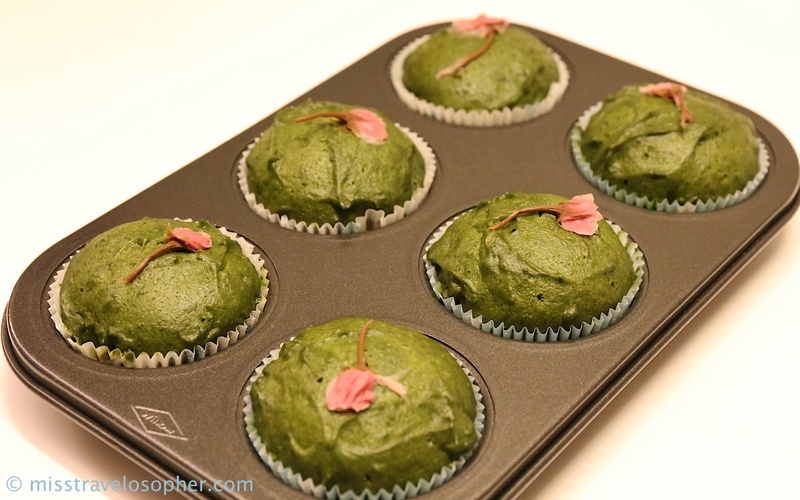 The first recipe I am trying out will be matcha sakura mushipan (Japanese steamed bread) with azuki bean paste filling (sweetened red bean paste)! 1. 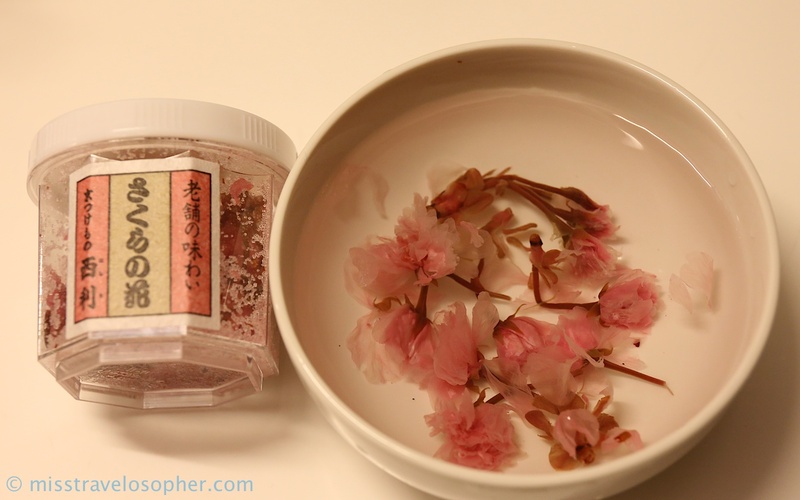 The salt needs to be removed from the pickled sakura flowers and this process takes some time. Prepare this 2 hours ahead of time and rinse the salt away from the flowers. After rinsing the flowers for a few rounds, continue to soak the flowers in a bowl of water with frequent changes to the water to ensure the salt is removed from the sakura flowers. 2. After salt has been removed, pat dry the flowers using kitchen towels. 1. Line the cupcake tray with cupcake paper. 2. 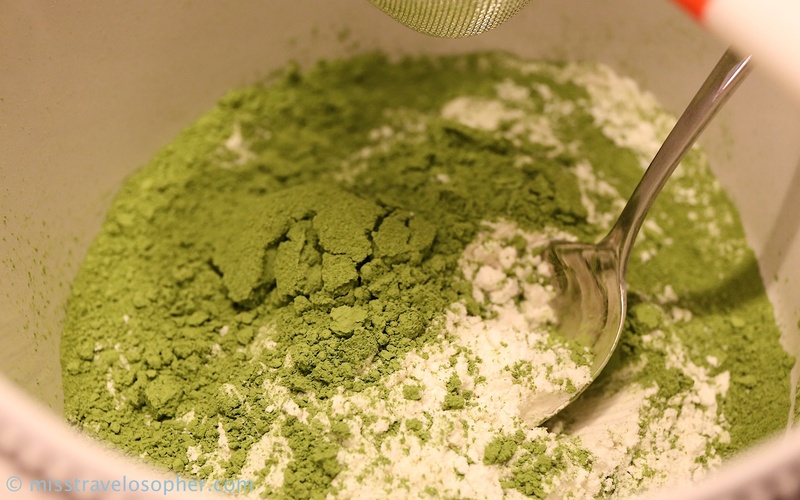 Mix the cake flour, matcha powder and baking powder together using a handheld whisk in a mixing bowl. 3. Using another bowl, combine the sugar, milk, eggs and oil using a handheld whisk. 4. 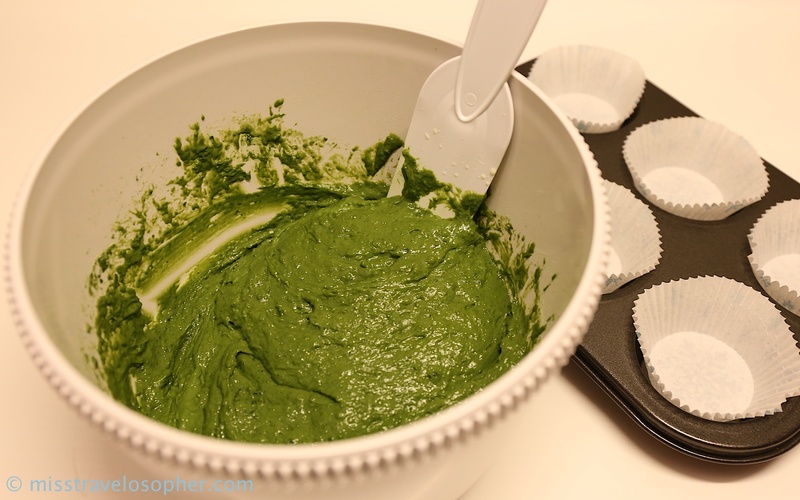 Add the liquid mixture to the dry ingredients gradually and mix till the batter is smooth and uniform. 5. Prepare the steamer and heat it up. 6. 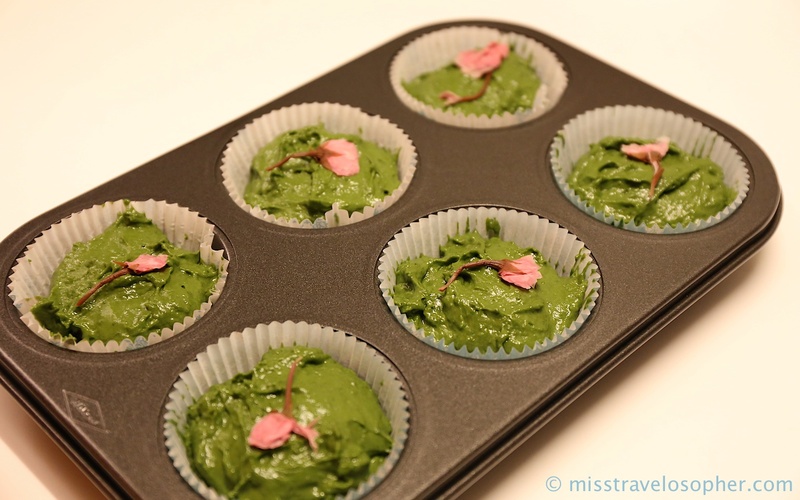 Spoon some batter into cupcake liners to form the base of the cupcakes. 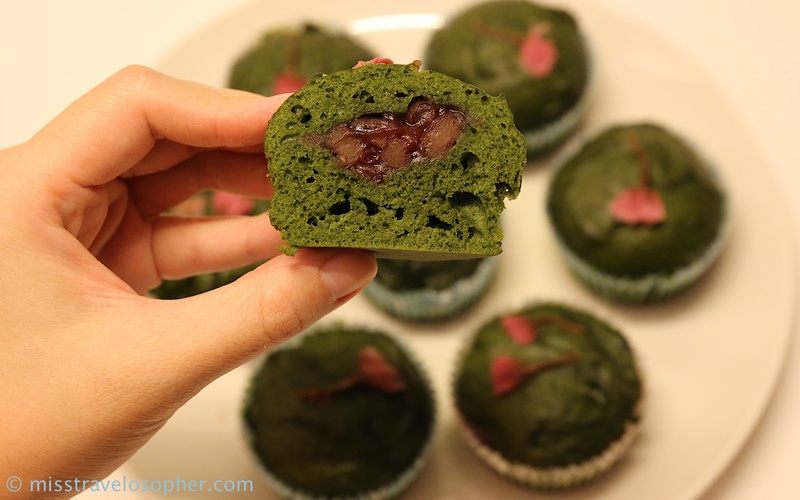 Add around 2 rounded teaspoons of azuki bean paste filling and take care to keep the filling away from the sides of the cupcake. 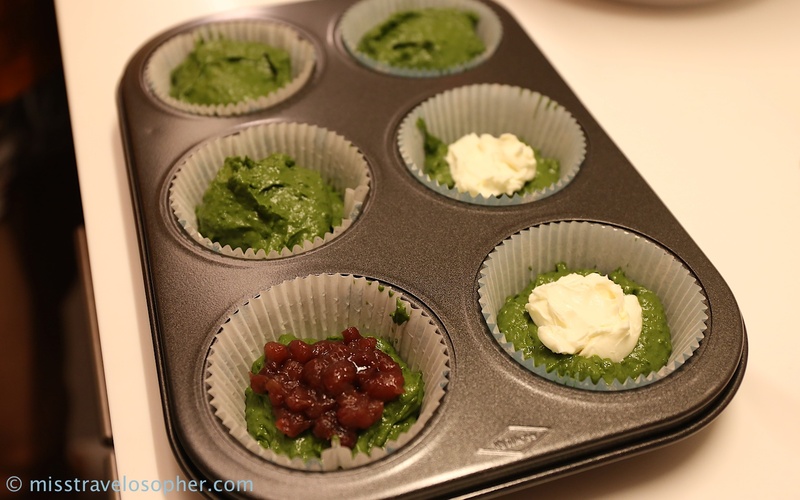 Spoon more batter to cover the azuki bean paste till the cupcake liner is 3/4 filled. 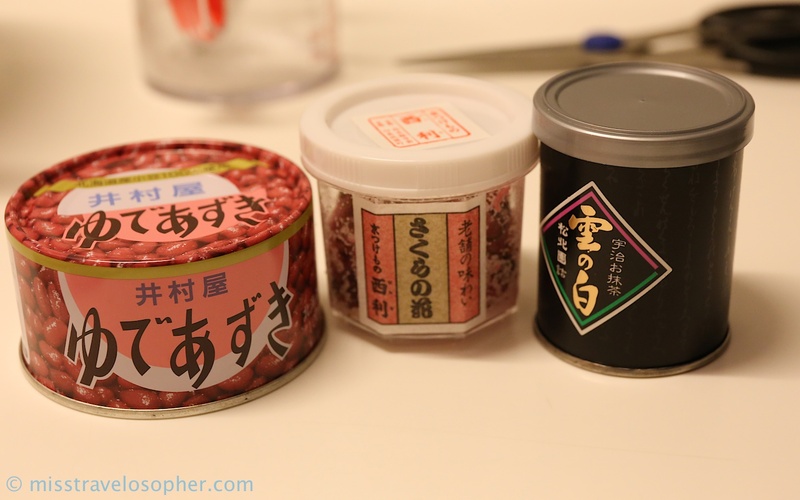 Check to ensure that the azuki bean paste has been properly covered with batter. 7. 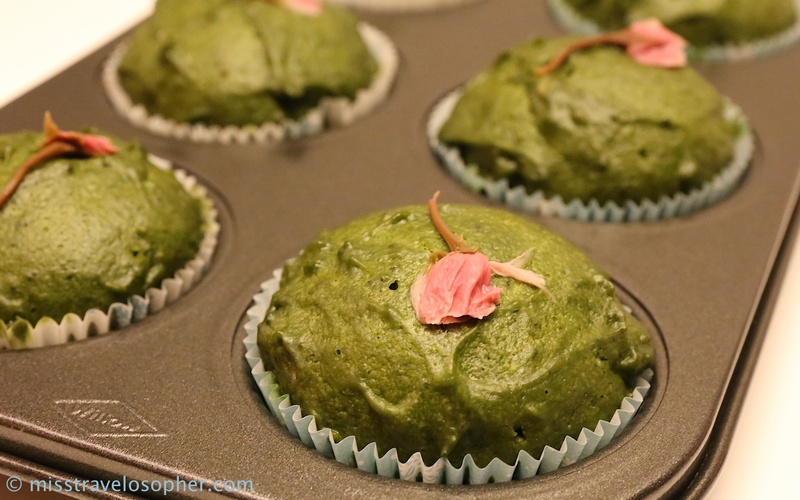 Place a sakura flower on top of each cupcake as decoration. 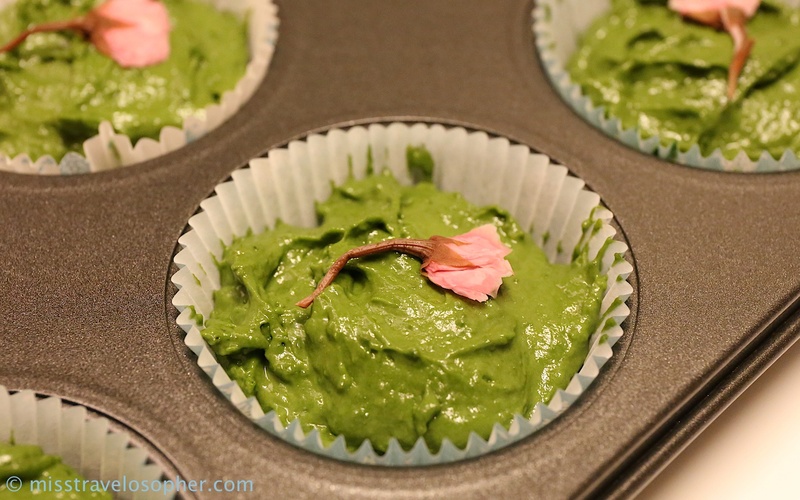 Press each flower gently so that it sticks to the batter nicely. Some of the steps in pictures! …. Looks delicious!! Will have to try out this recipe sometime! !